The Canon MF-735CX is a monochrome and colour printer that can perform print speeds of up to 27 pages a minute. This laser printer is ideal for a small yet busy office and can also handle other functions, including faxing, scanning and copying. The printer is compatible with modern connectivity options, including Wi-Fi. 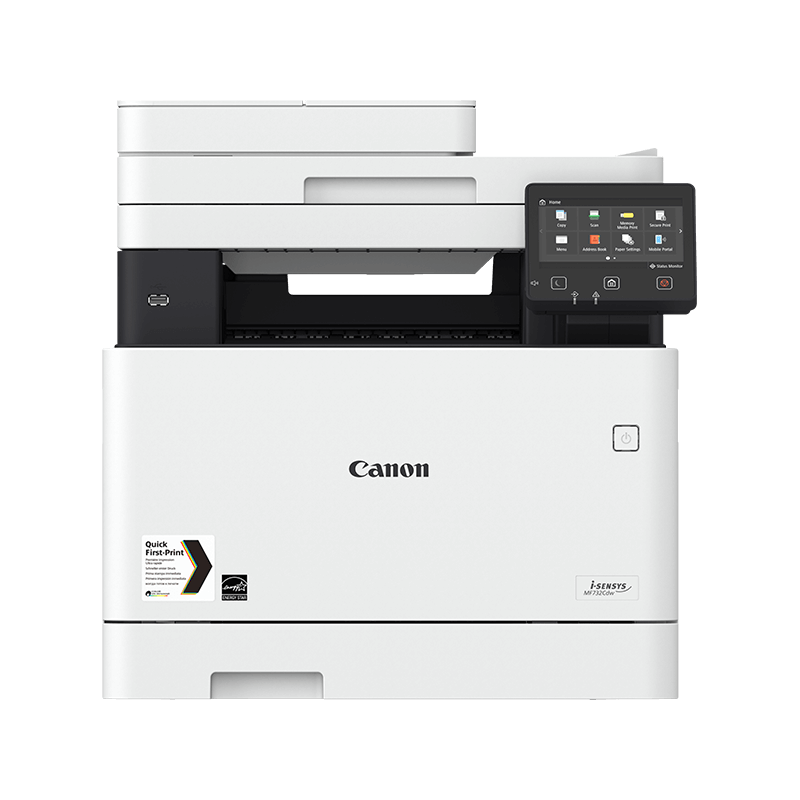 The Canon MF735CX design includes USB, network and wireless connectivity, and there is a colour touchscreen that measures 12.7cm for easy use. The printer has a monthly duty cycle of up to 50,000 pages, so this machine has been designed to be durable. Those who have sustainability policies will appreciate the fact that this printer has been designed to be economical, both in energy consumption and cost. The unit is AirPrint compatible and measures 47cm x 47cm x 46cm, making it the ideal desktop size. The Canon i-SENSYS MF-735CX offers a print resolution of up to 1200 x 1200 dpi, and you can use paper of up to 200gsm with it. Double-sided printing is offered as maximum. This machine has the ability to print on a range of paper sizes, including post cards. The toner cartridges can produce up to 6,300 pages for mono printing and up to 5,000 pages in colour. The cartridges are black, cyan, magenta and yellow, and each can be replaced individually as needed. The Canon MF-735CX’s speed is a little lower than some larger printers, but still good for desktop-sized printers. The time to the first printed page is more than eight seconds, which is also a little slow when compared with other models. The maximum page size is A4, which may not be ideal for offices that have a wider range of printing requirements.